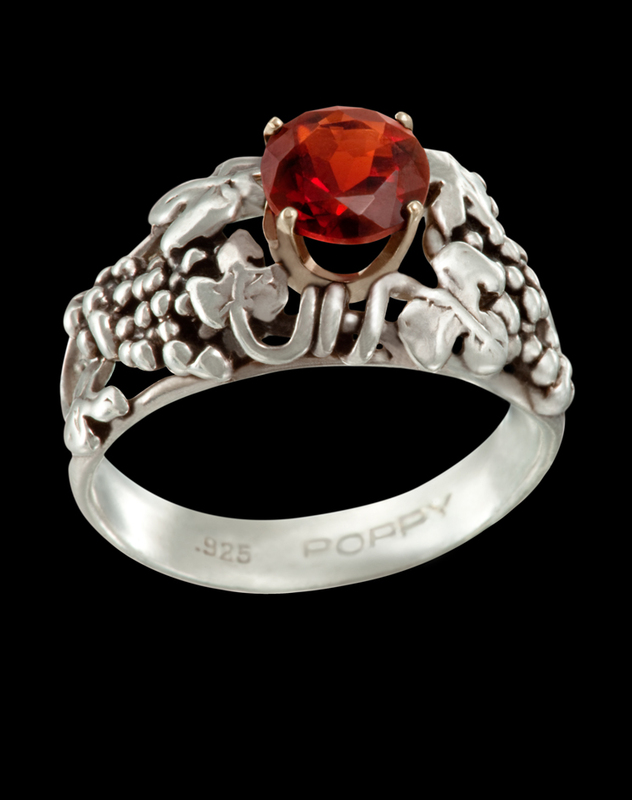 A lovely rendition of grape clusters, vines, and grape leaves encircle the colored stone of your choice. Antiquing enhances details and contributes to this timeless ring. Faceted stones are prong set, and cabochon stones are bezel set. Design tapers down sides to a solid shank 13/32 in - 1/8 in.